the below news and feature articles. 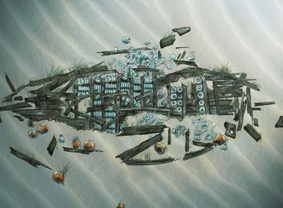 found nine historical shipwrecks in the South China Sea. THE video playing in the gift shop of Tanjong Jara Resort in Terengganu depicted the recovery of ceramics and other artefacts from shipwrecks dating as far back as the 11th century. Throughout the clips of different shipwrecks, one thing was clearly evident: They had all been discovered by one man - Sten Sjostrand. 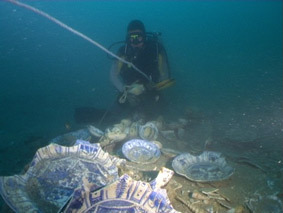 To date, he has found nine historical shipwrecks in the South China Sea. Recently, Sjostrand, in a joint collaboration between his company, Nanhai Marine Archaeology Sdn Bhd, and the Department of Museums and Antiquities, made a presentation to Arts, Culture and Heritage Minister Datuk Rais Yatim regarding the excavation of his ninth shipwreck, found just a few kilometres offshore from Tanjong Jara Resort. The Wanli project, as the excavation is known, represents the 17th-century link he has been looking for since 2001. His discoveries put him in the unique situation of being able to study and cross-check any new data about ancient maritime trade and trade routes in the South China Sea. 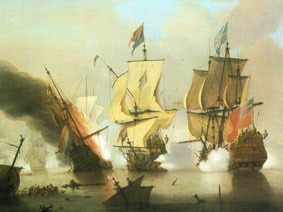 Clues such as the ship's coat-of-arms, its metal nails and type of wood suggest that Wanli was a Portuguese ship made in the Philippines and built by Chinese shipbuilders. 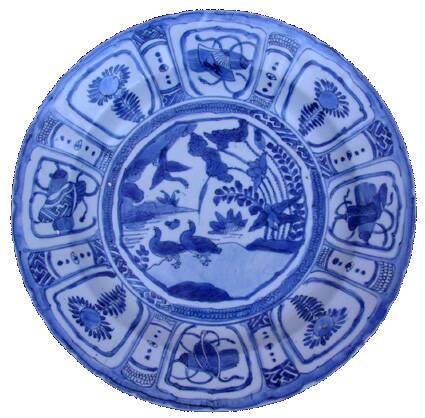 porcelain production was at its peak. his blue eyes blaze with an intensity that springs from an almost unbridled passion for maritime trade and ceramics. and its artefacts are time capsules. The real treasure is the boat, its cargo and the history behind them." heartbreaking tragedy: the recent sinking of Sjostrand's beloved private boat, Cadenza. He had used the superb purpose-built private boat in all his shipwreck discoveries. It gave him freedom, mobility and comfort. But one day, as he was heading back to shore alone, Cadenza struck a submerged log, leaving a gaping hole in its hull. It only took five minutes for the sea to claim the boat. underwater not far from the excavation site, taking all the onboard computers and data with her. "I've seen more than 200 shipwrecks," Sjostrand says, "and after so many shipwrecks, one day it's you." who believes in unearthing clues from shipwrecks to piece together the truth about the past? Sjostrand learnt to sail from the age of seven under the strict tutelage of his father. a champion race sailor ever since. immediately taken to the operating table. He emerged from the ordeal missing part of one thumb and two fingers. With such daring intrepidness and inventiveness, it did not seem possible for Sweden to keep her son home. he and his wife arrived in Singapore two years later, they spend another few years sailing around Southeast Asia. By the age of 28 he had made up his mind to stay in Singapore. It was there that he designed and built the world's first purpose-built, 200 rooms floating hotel, a project never done before. The hotel was sold to an Australian consortium, which used it on the Great Barrier Reef for two years. It was then sold to the Japanese, who sent it to Ho Chi Minh City as the Saigon Floating Hotel. Today it belongs to Hyundai and is in North Korea. As we sat on the deck of the excavation boat, nicknamed Enterprise 4, it quickly became evident that this man was more history hunter than treasure hunter. Sjostrand is here to remind us of the rich maritime heritage we have and should preserve. Ask him how he finds his wrecks with such apparent ease, and he's quick to say that there is nothing easy about it. "Passion, persistence and hard work. I am self financed. I am onboard all the time. I love the sea. I can be there all the time," he says. "A lot of people have the boats and the money for the search. But not many have the perseverance. "I am careful in making that decision. I think about it for quite a long time. In everything I do in my private or professional life, when I say yes and decide it is feasible, I never give up. Why just go for a couple of months, give up and go back?" relaxing, especially someone on his own doing nothing." passion for maritime archaeology and Asia's ceramic developments. 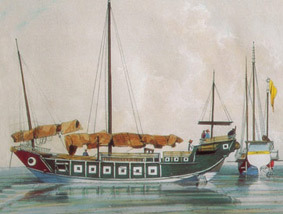 Sjostrand has been and still is involved in the training of Malaysia's first team of maritime archaeologists. Is there going to be a 10th shipwreck? Quite possibly. This time, Sjostrand will be leaving the hard slog to Milton while he focuses on the research and detective work of unravelling the maritime history and ceramic traditions of the region. In this field, the work never ends. Thousands of man-hours will continue to be spent researching, searching, surveying, excavating, transporting, cataloguing, training. 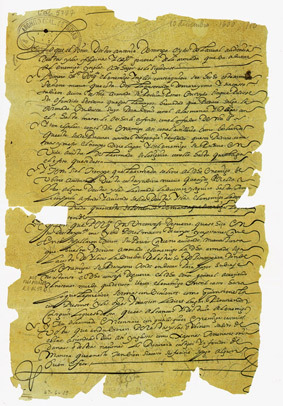 And Sten Sjostrand will continue to apply his consummate skills as the history hunter. * All names are project names. Dates of the ships are approximate. Speech by the Malaysian Minister for Culture, Arts & Heritage speech during the "Treasures of the Nanhai exhibition and sale”. Instead of talking about the importance of maritime archaeology, the speech turned out to be a tribute for our researcher; Sten Sjostrand and his work. This speech demonstrates the good relationship between the company and the Malaysian government.